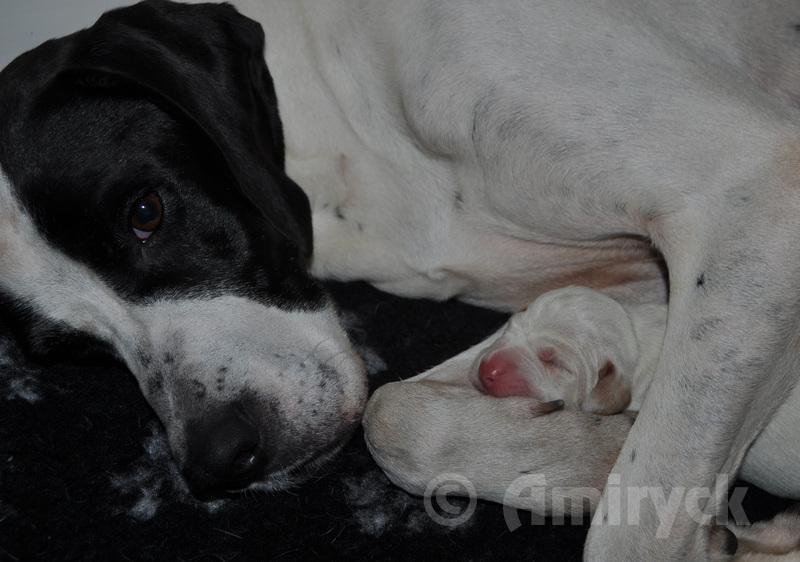 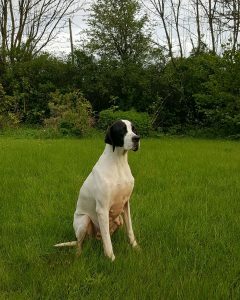 We are delighted to announce that Pearl is expecting puppies. 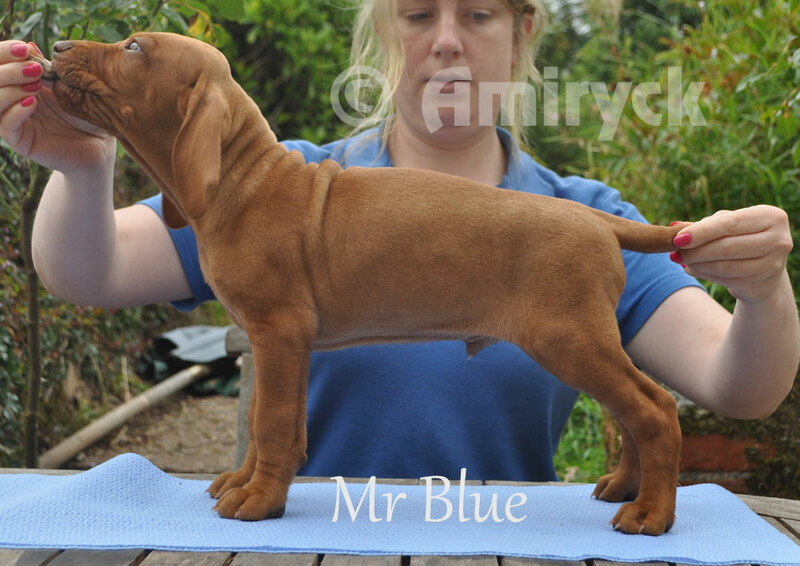 Due, mid May 2017 – further details can be found here. 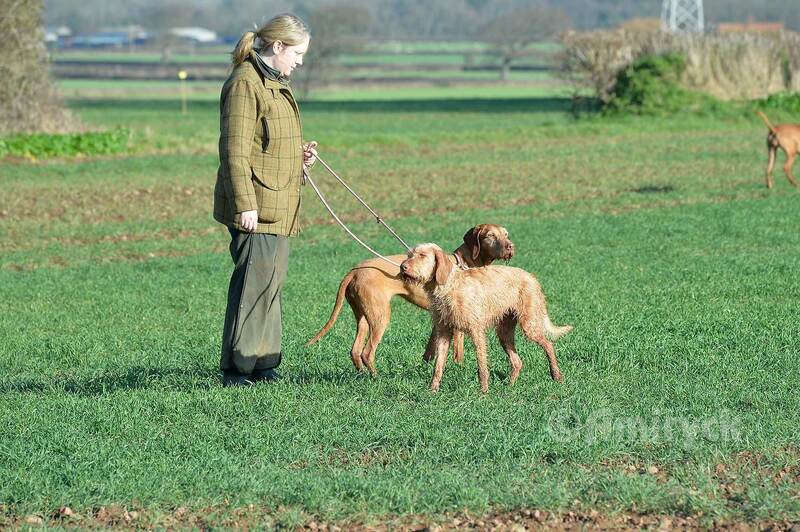 We had a lovely day out at the HWVA working test today. 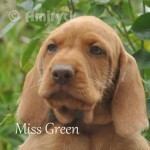 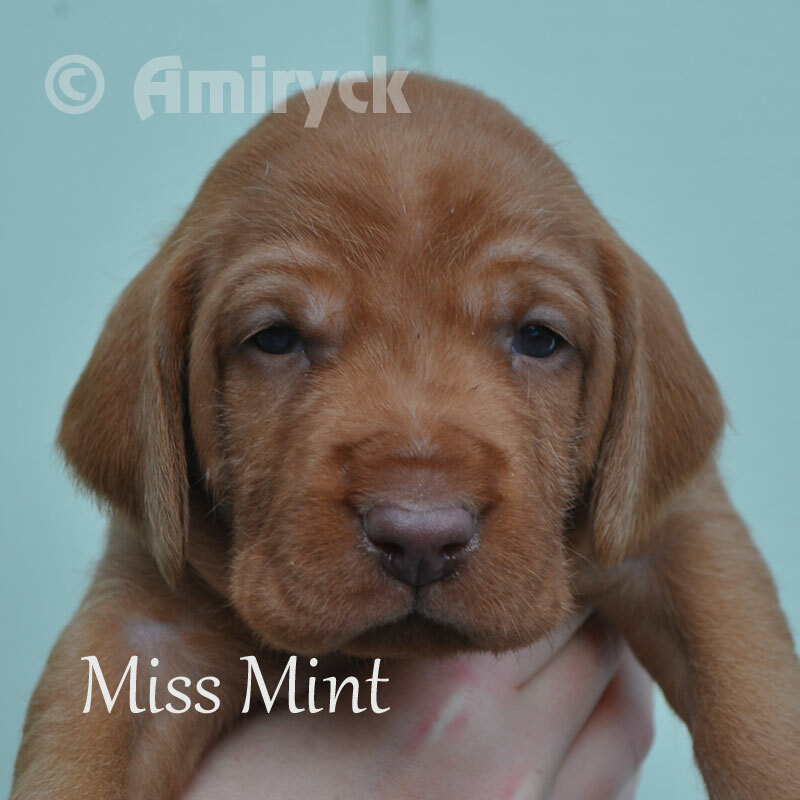 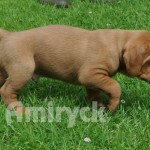 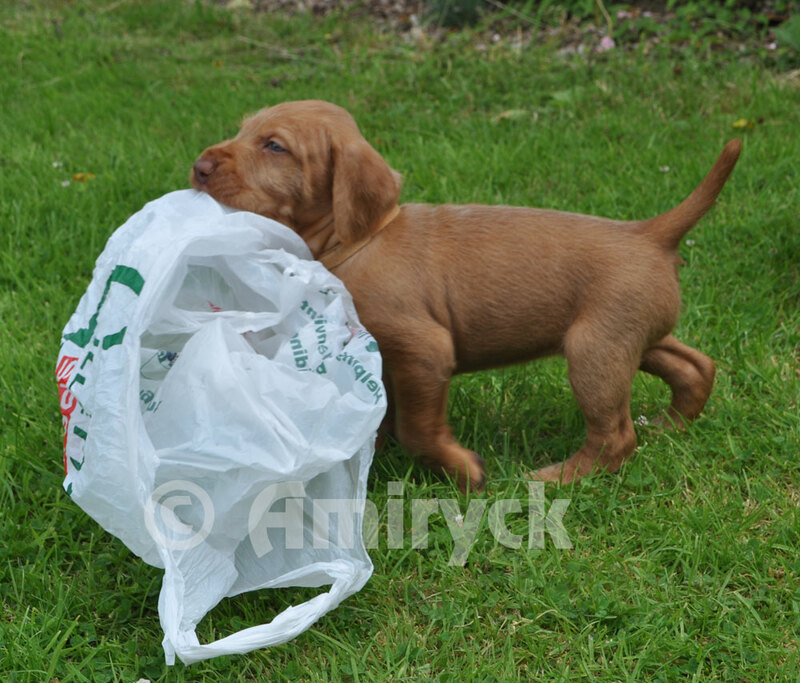 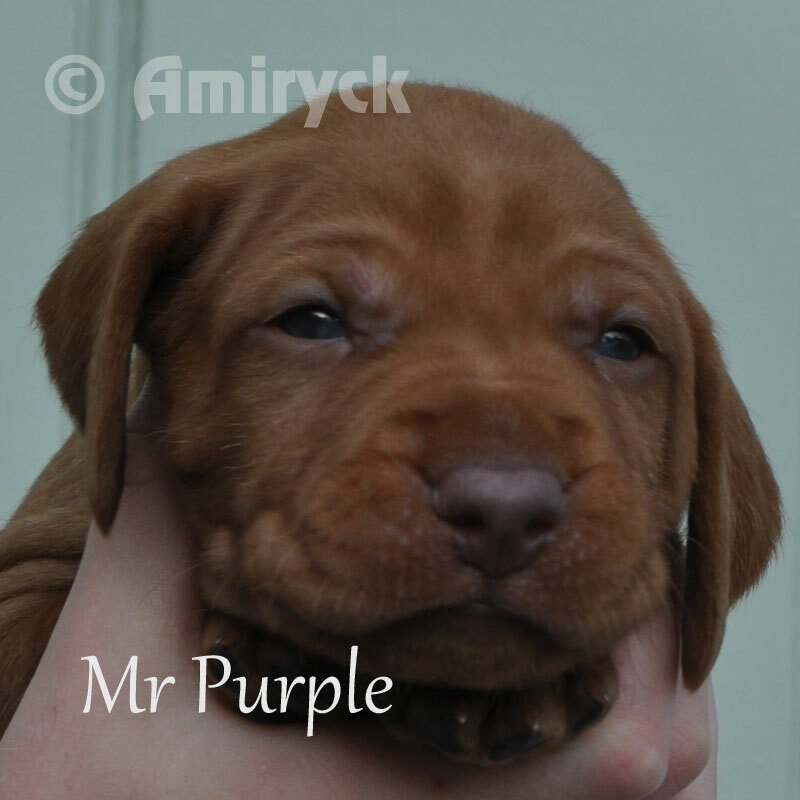 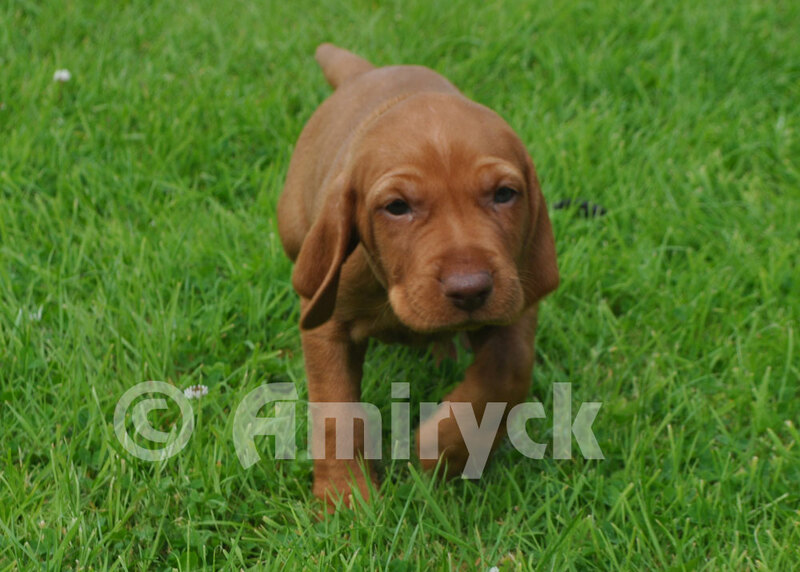 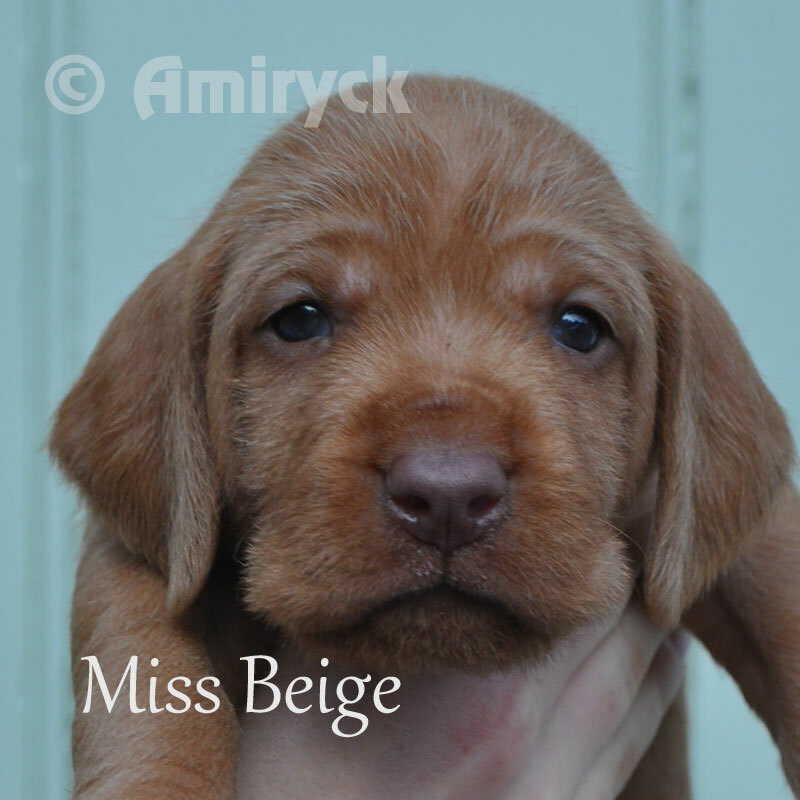 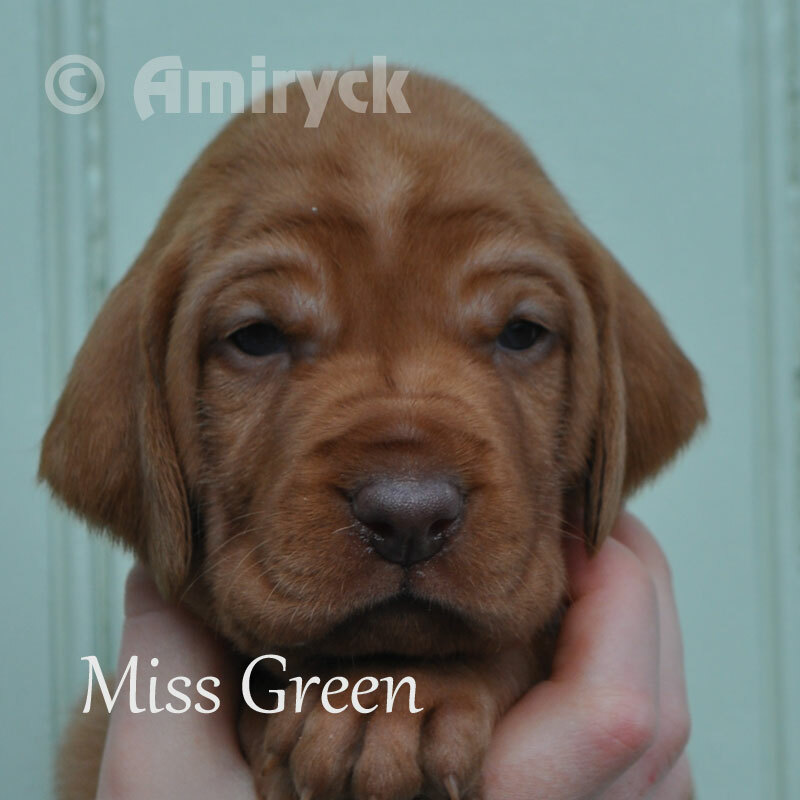 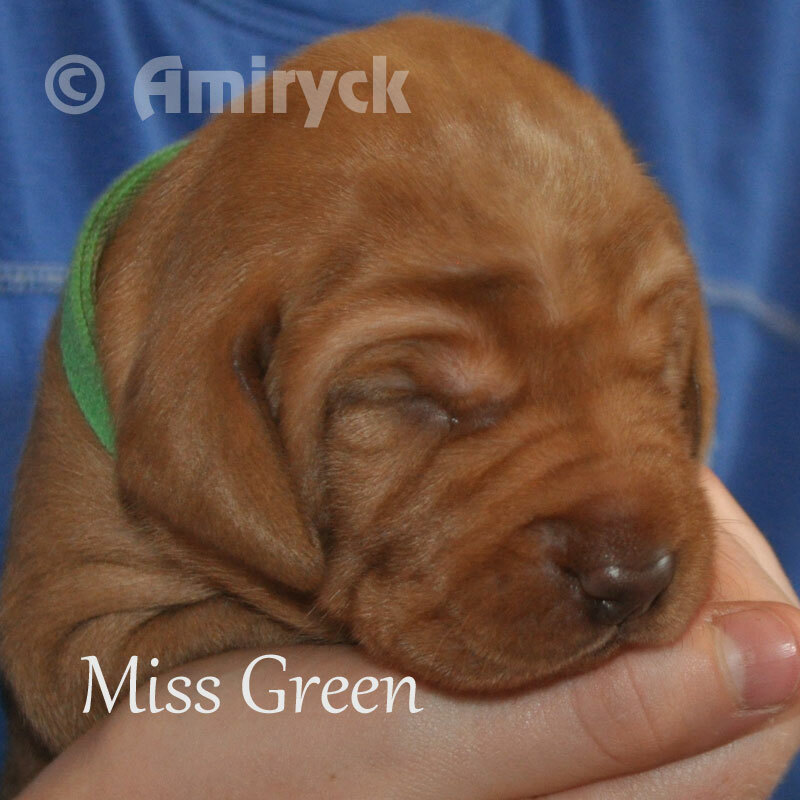 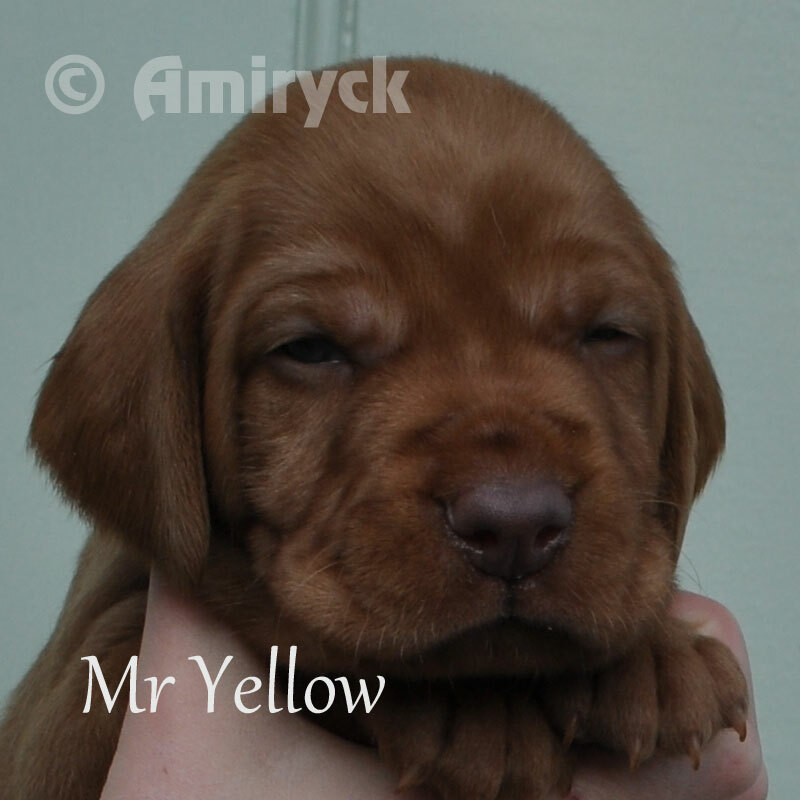 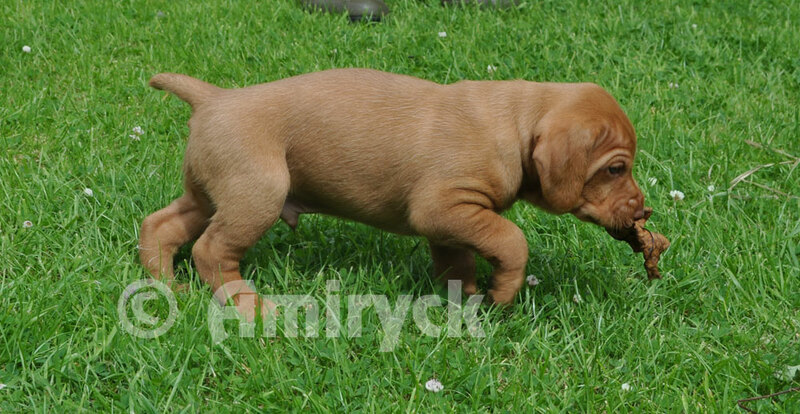 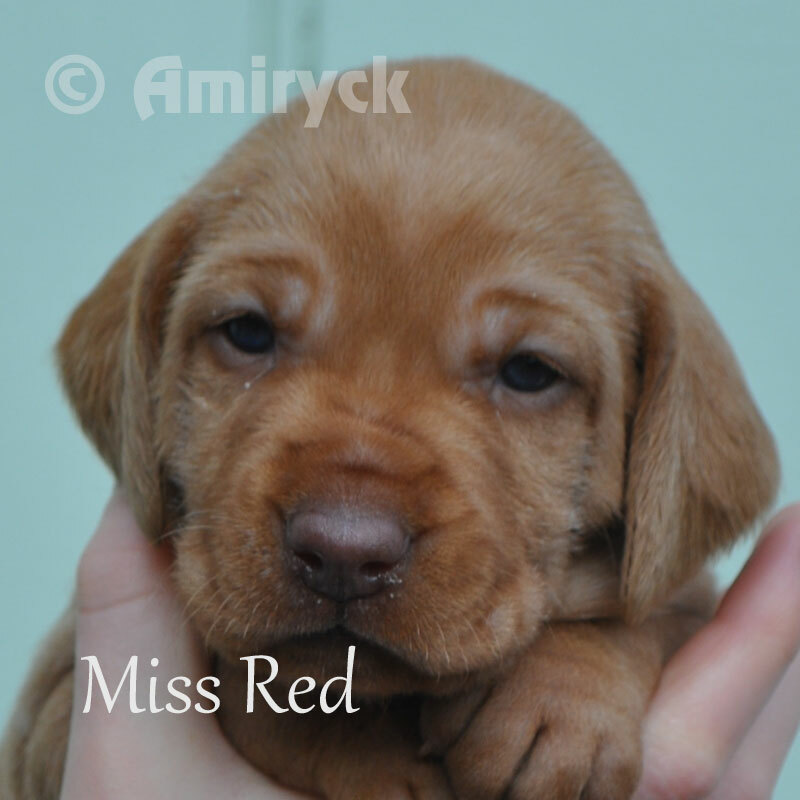 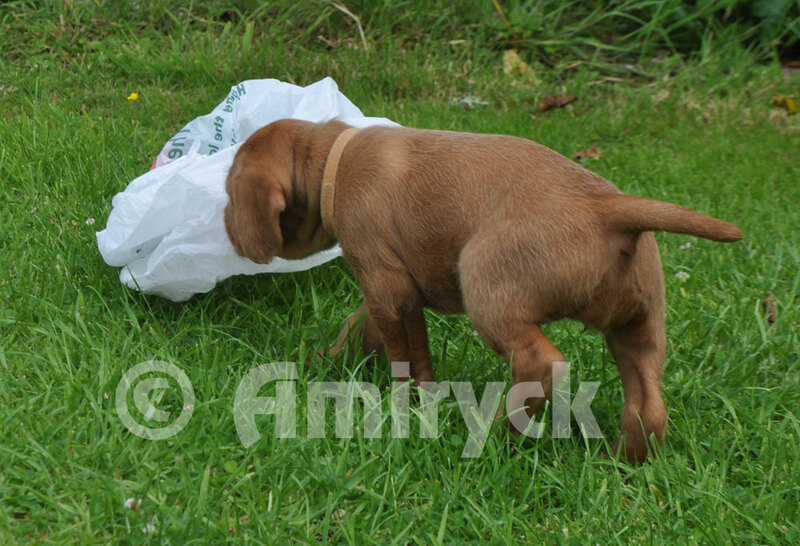 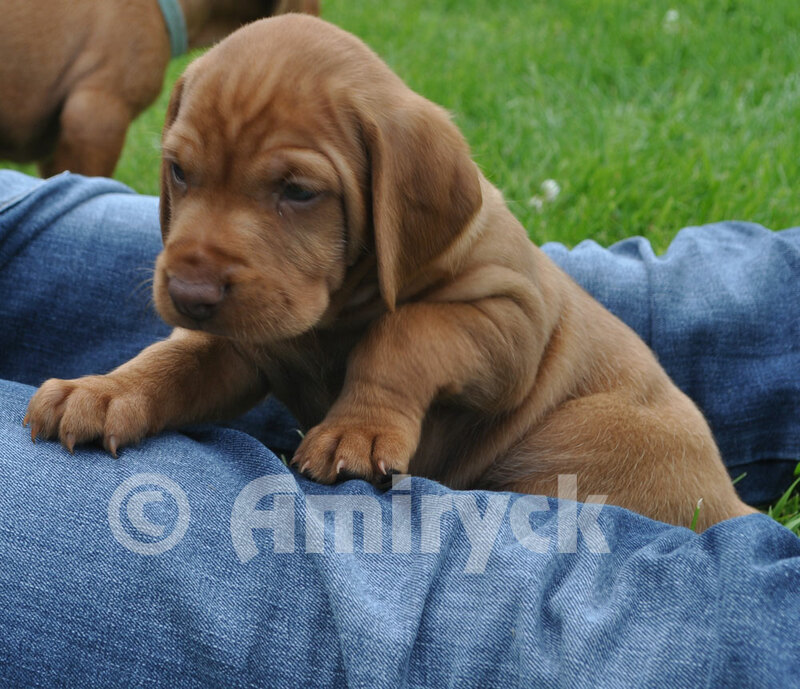 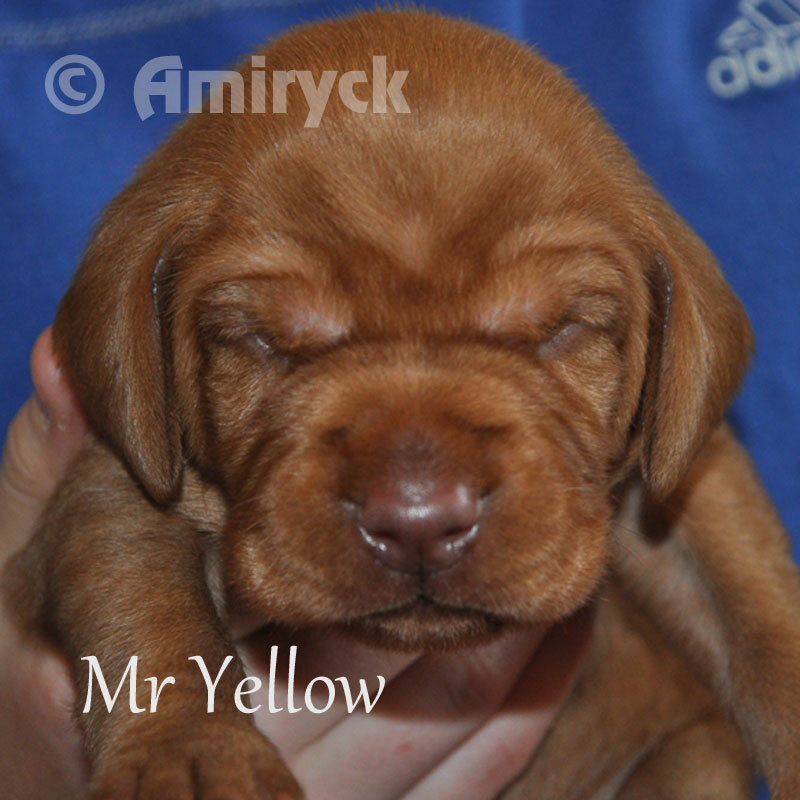 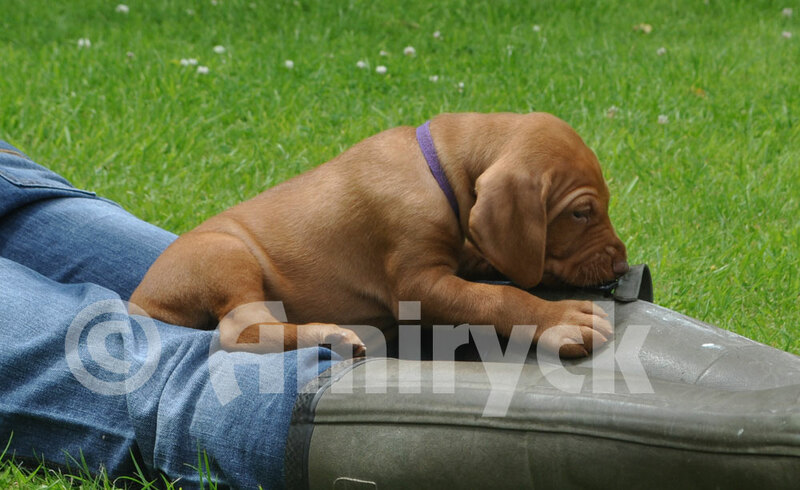 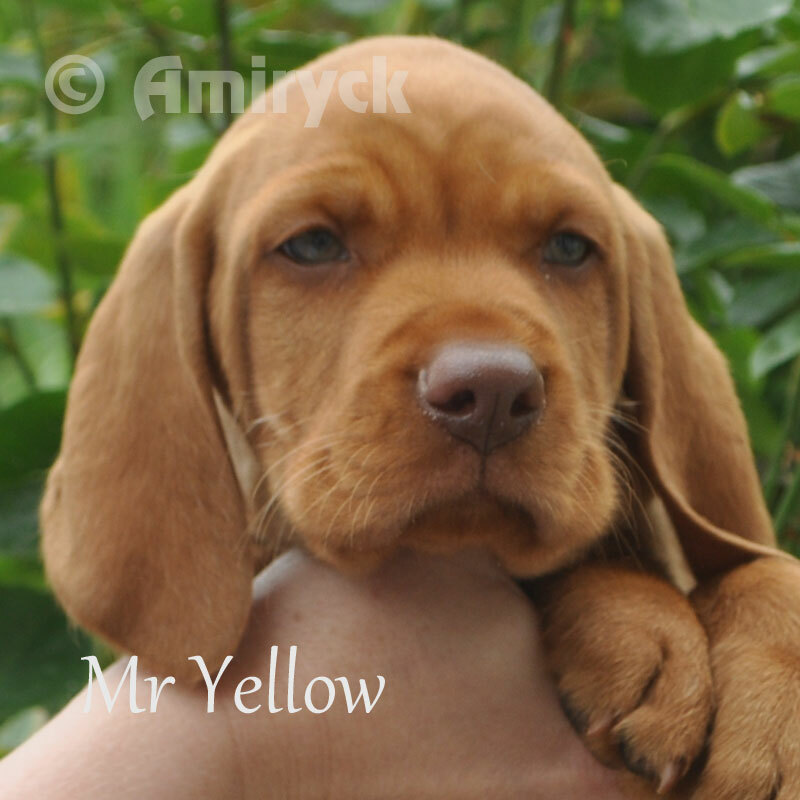 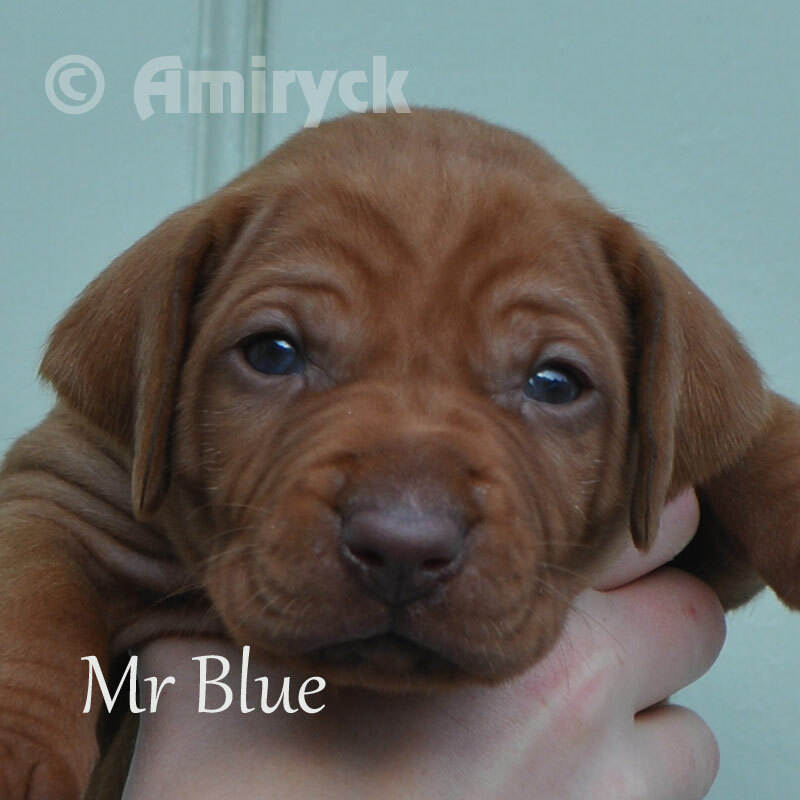 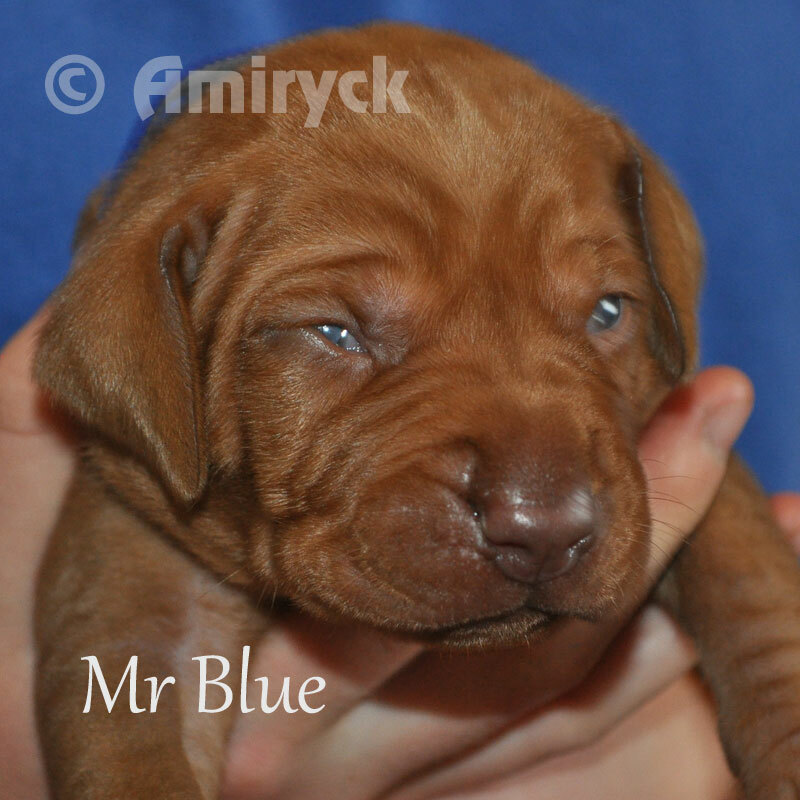 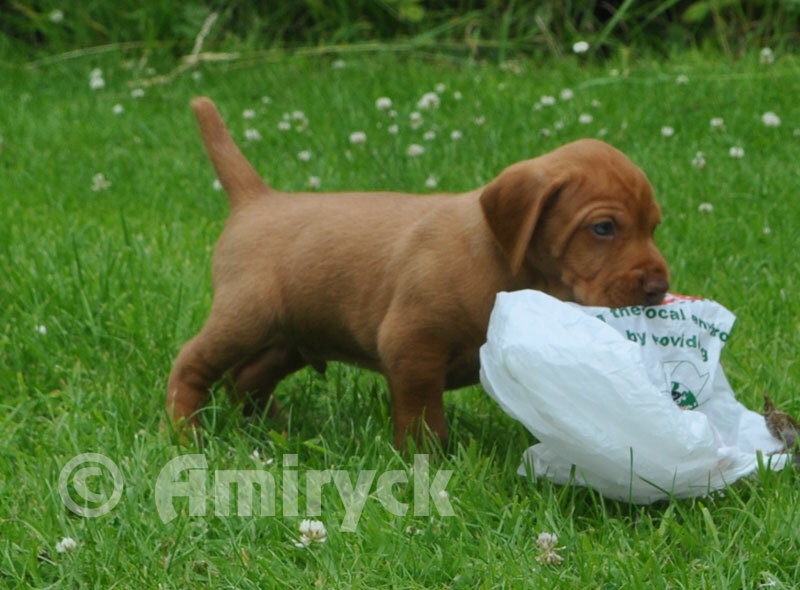 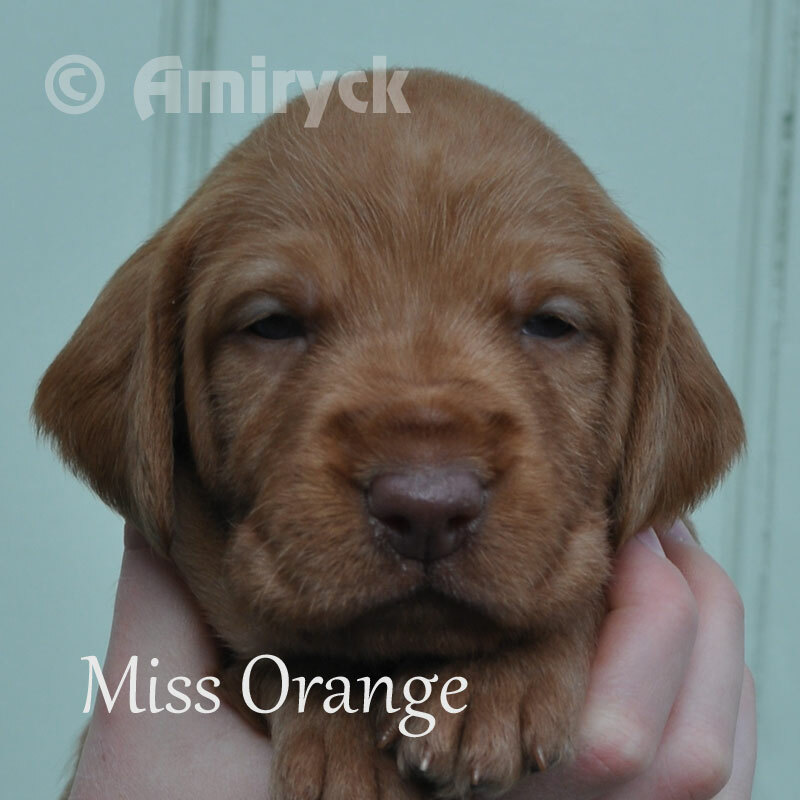 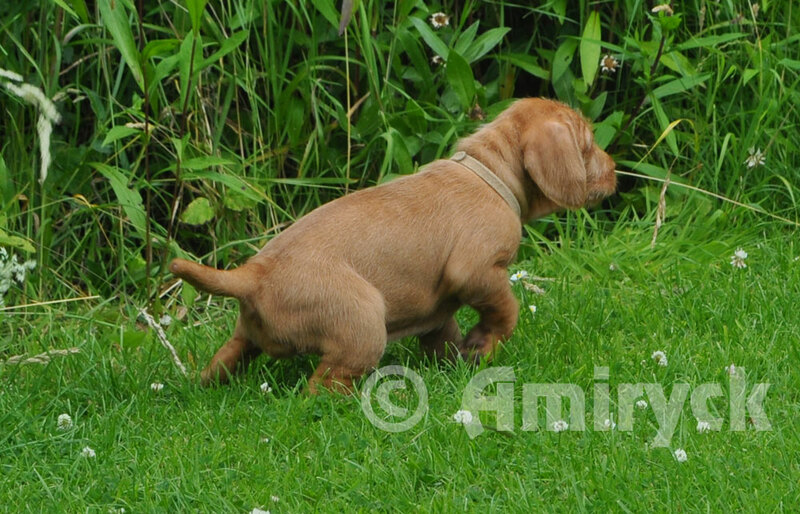 Our Amiryck puppies made us super proud with Hazel and Michael Caine’s “Amiryck Chasing a Dream” being placed the top HWV in the puppy class and in addition being awarded the Bardantop trophy for top scoring HWV in the whole test. 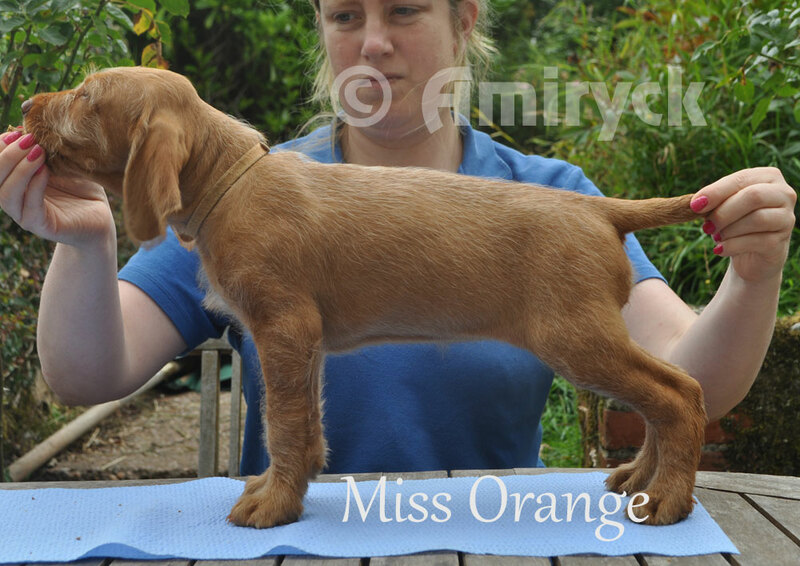 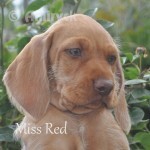 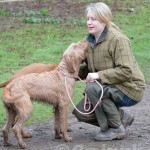 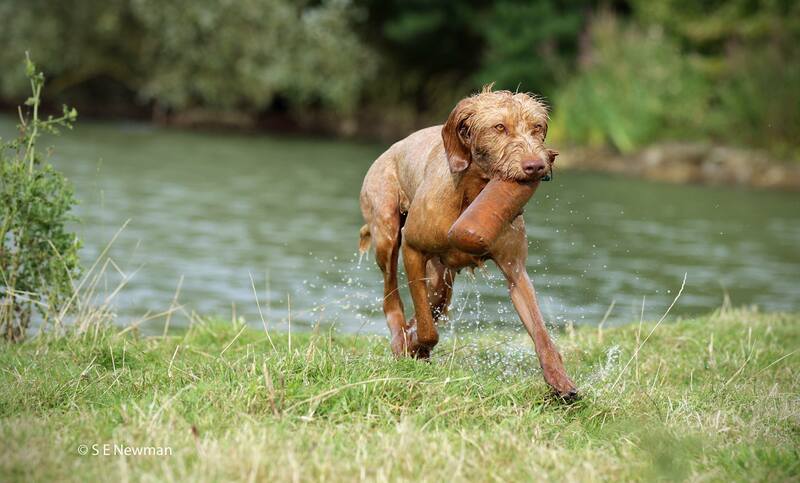 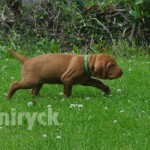 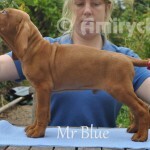 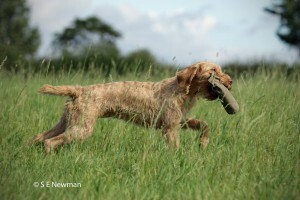 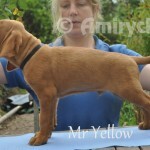 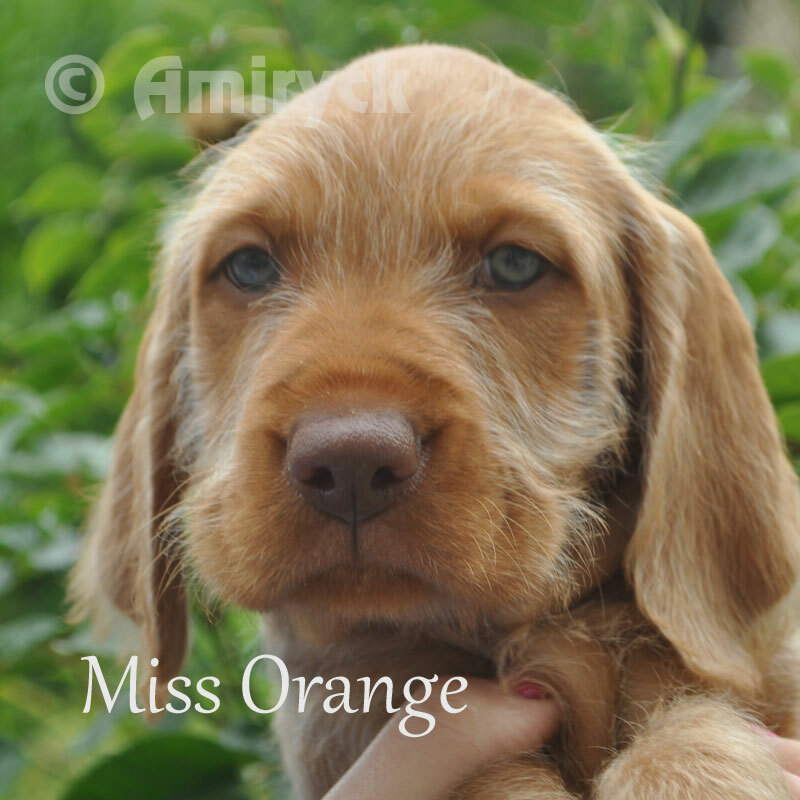 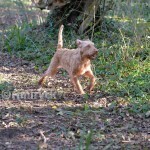 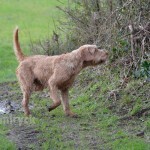 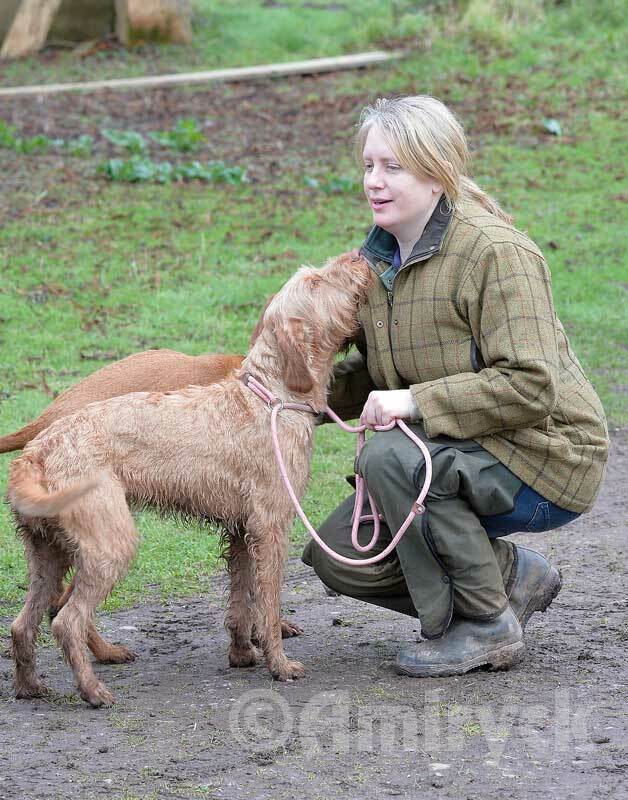 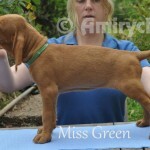 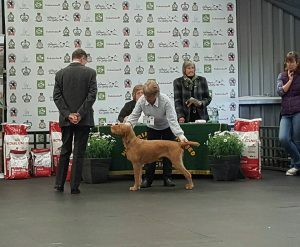 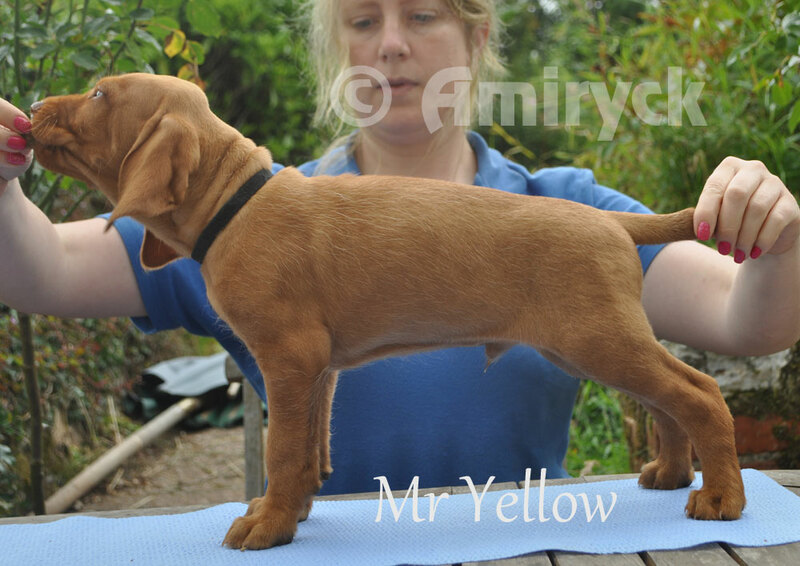 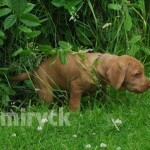 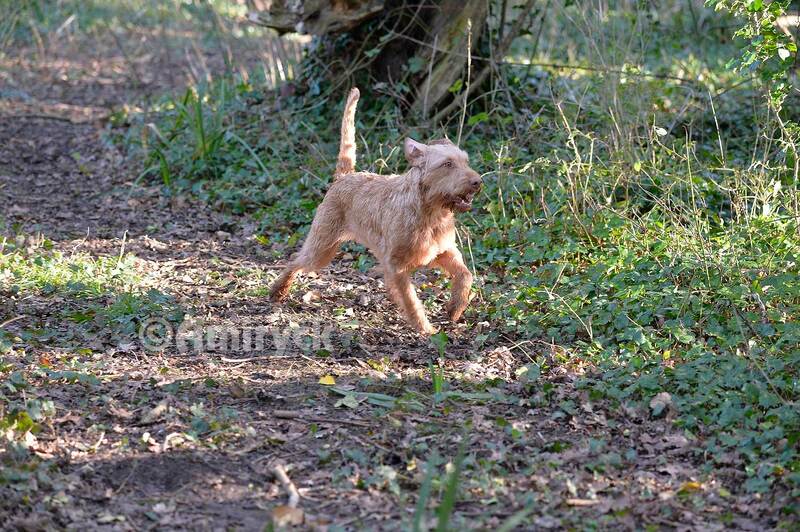 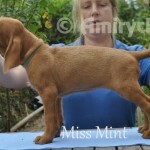 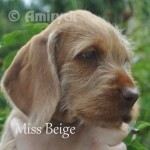 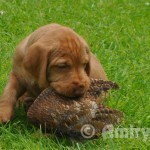 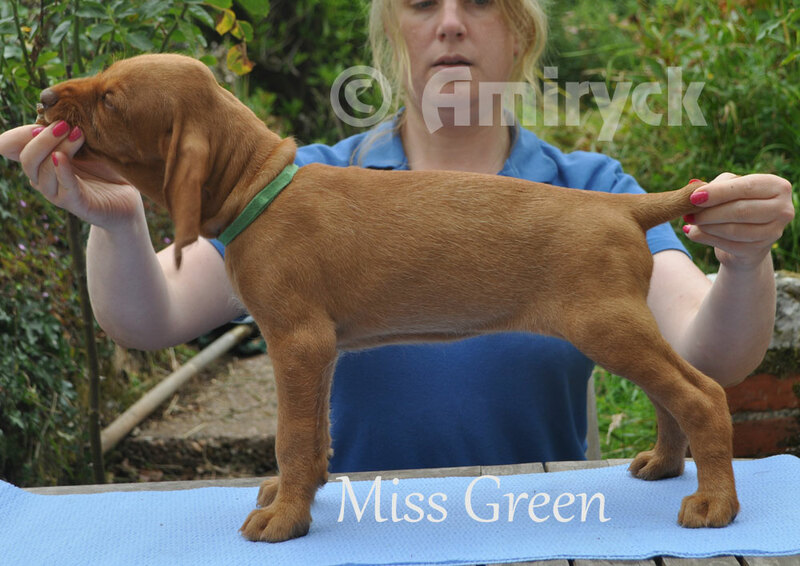 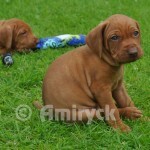 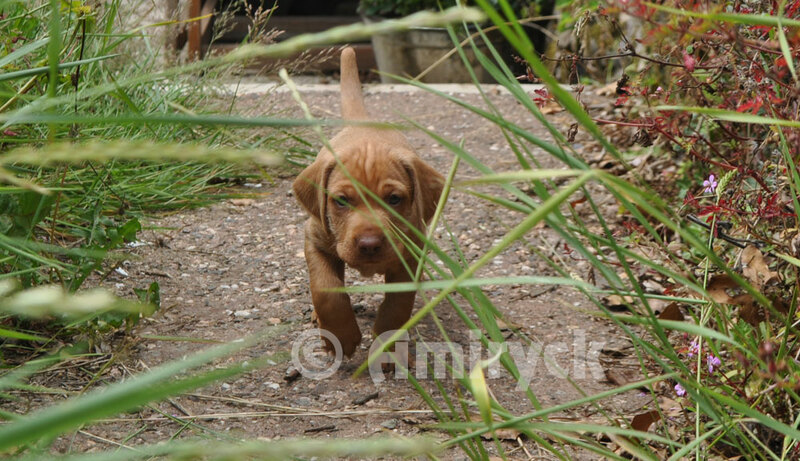 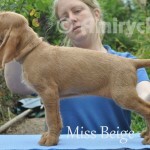 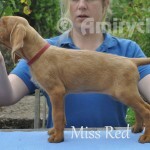 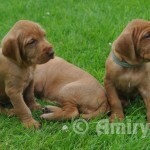 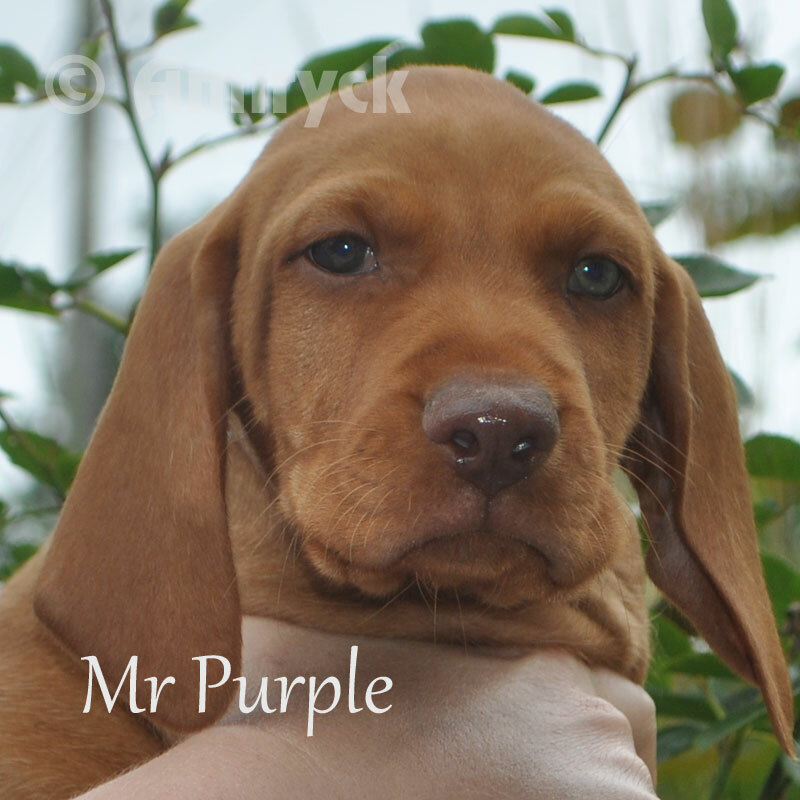 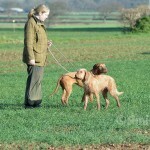 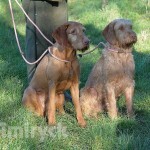 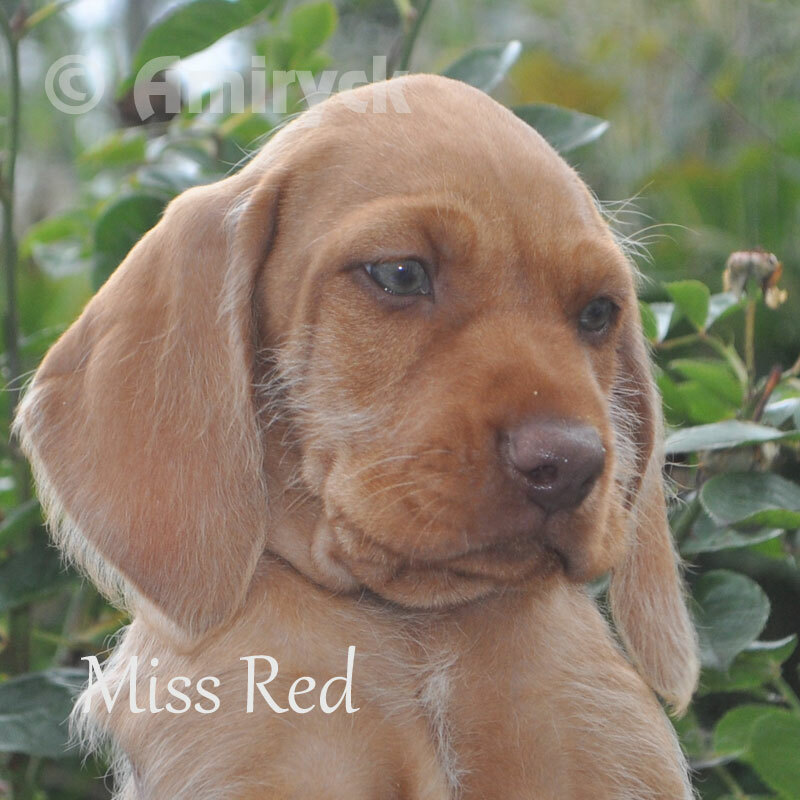 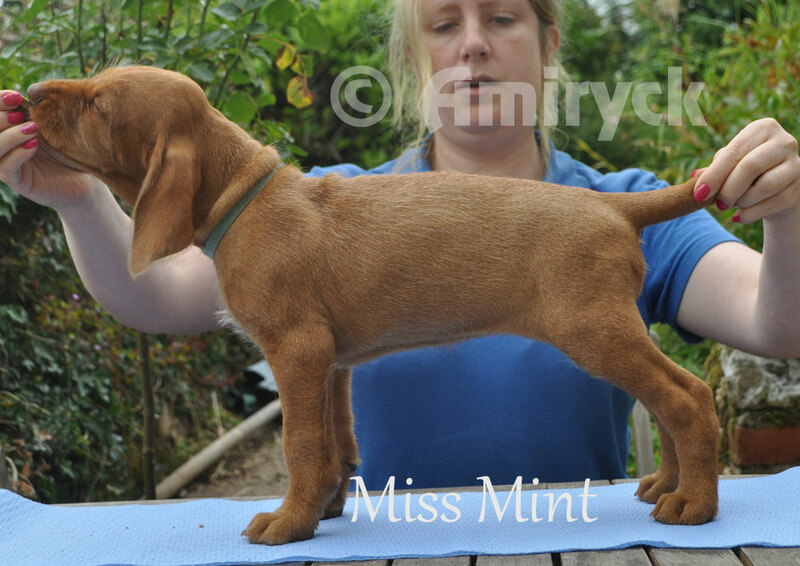 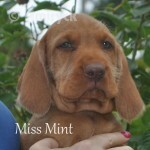 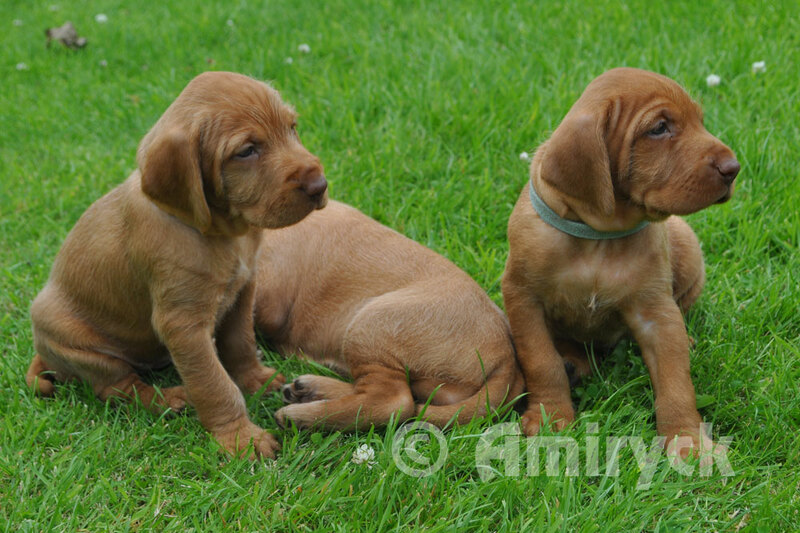 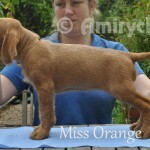 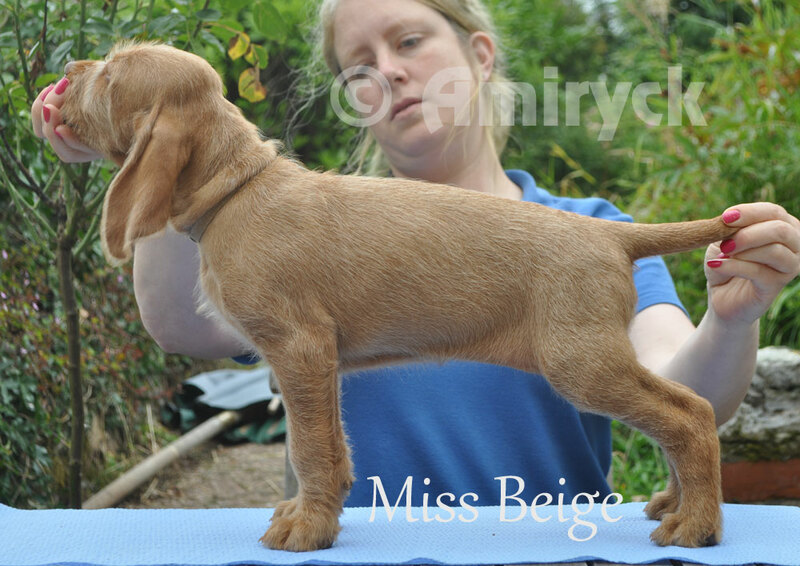 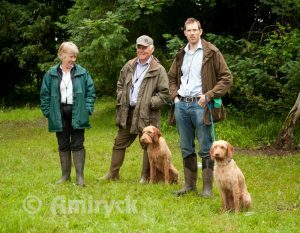 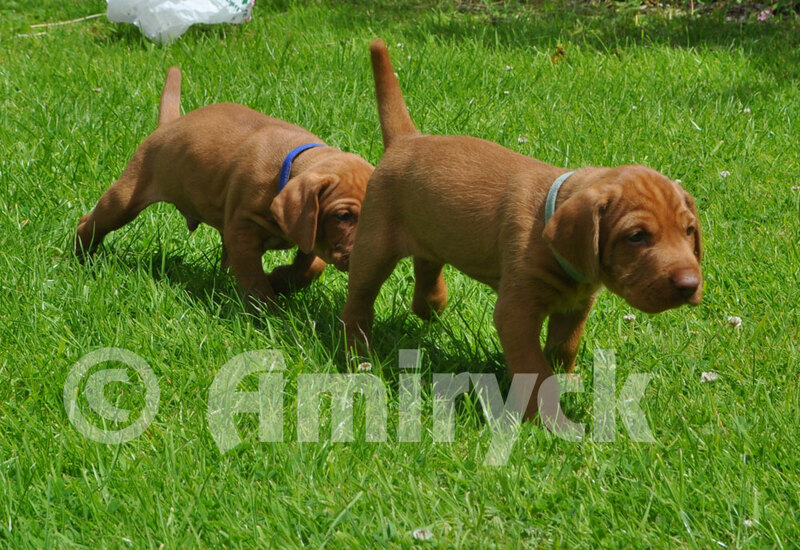 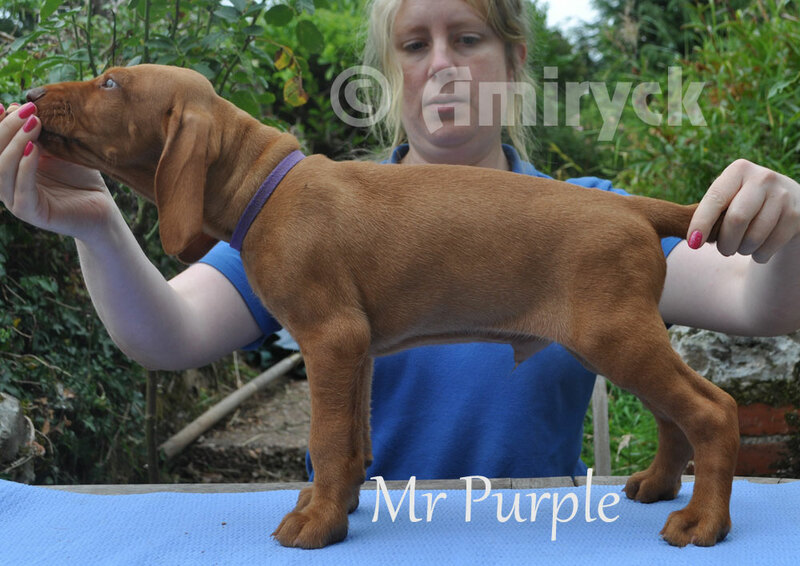 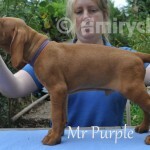 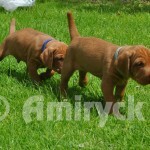 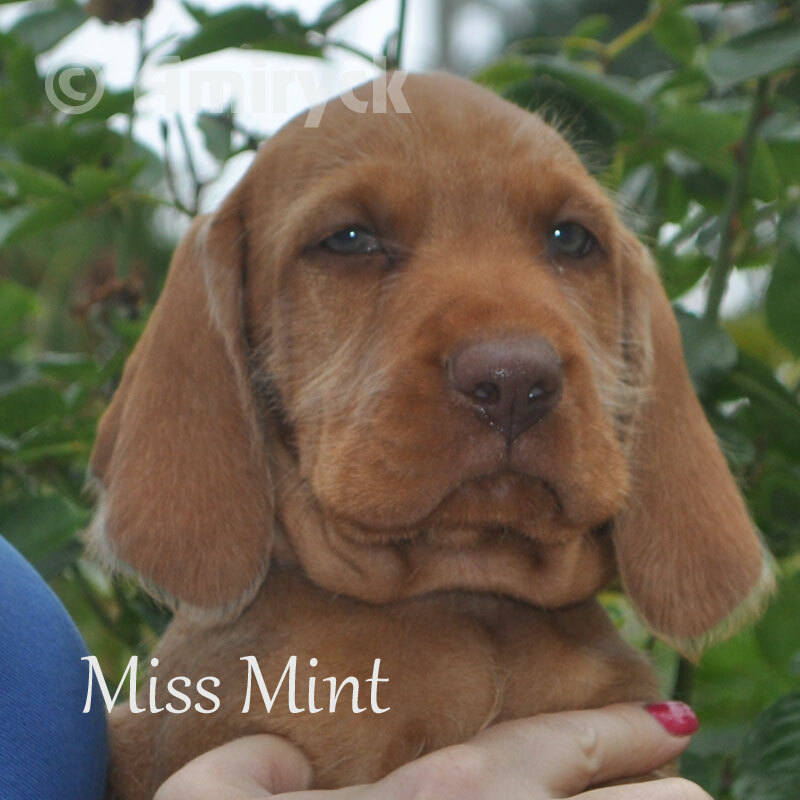 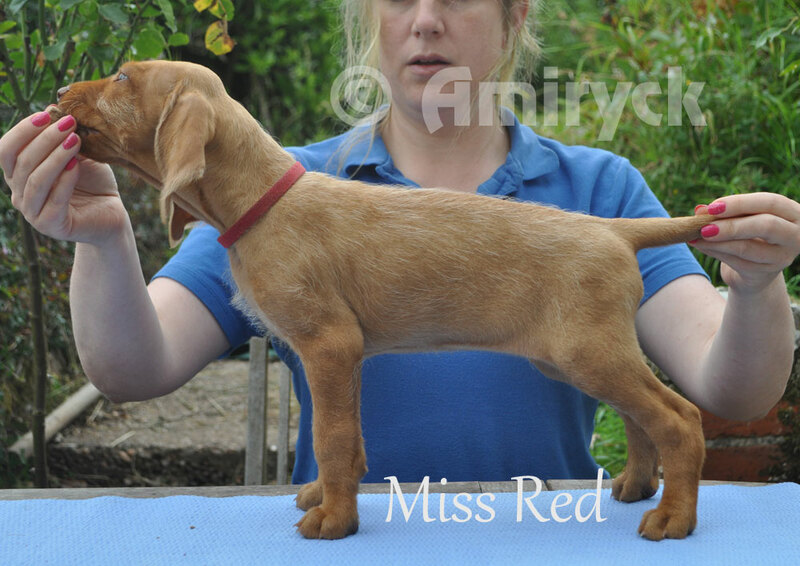 Meanwhile Richard and Phoebe were the second placed HWV in the puppy test. 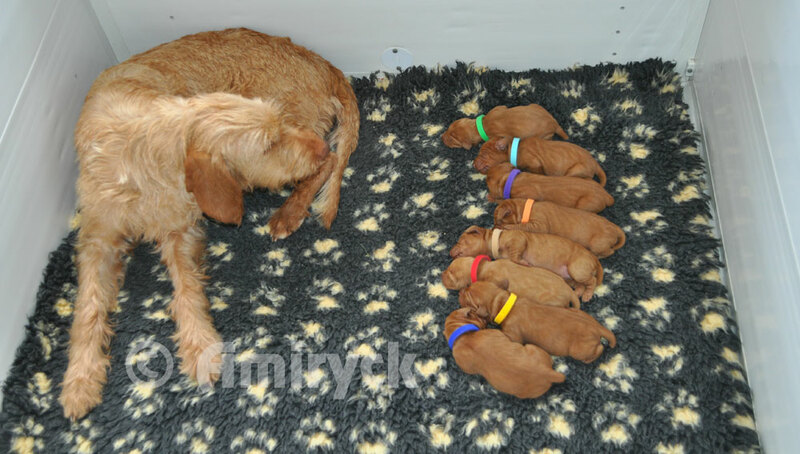 We are delighted to announce the safe arrival of Kato and Netties 9 bouncing babies on 3 August 2016. 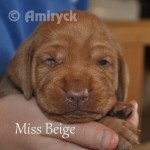 It is a case of girl power with only one boy! 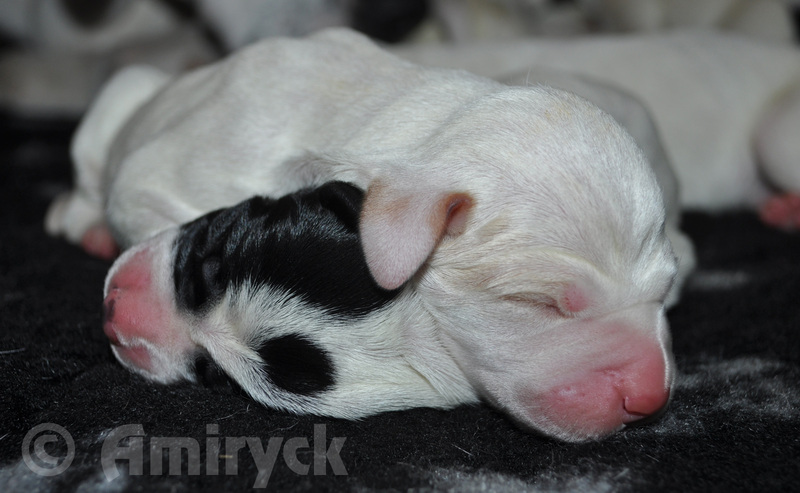 You can follow their progress here. 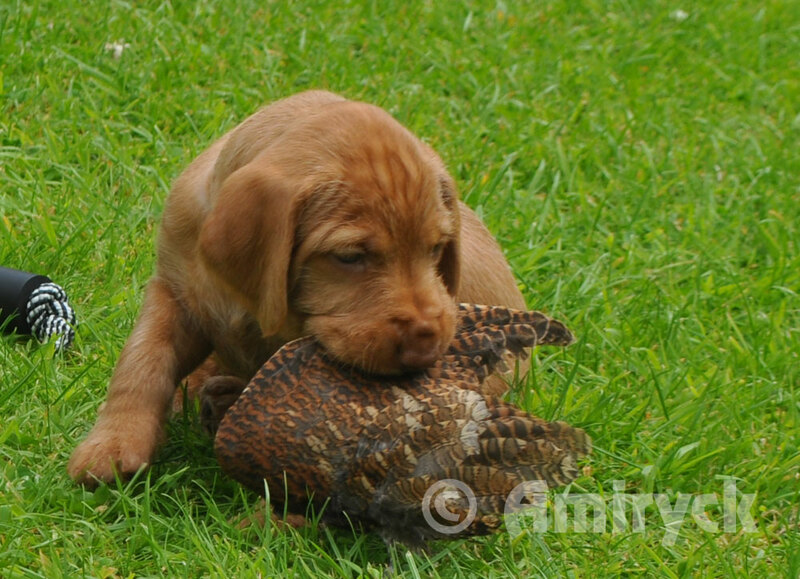 The 2015/16 shooting season has come and gone already. 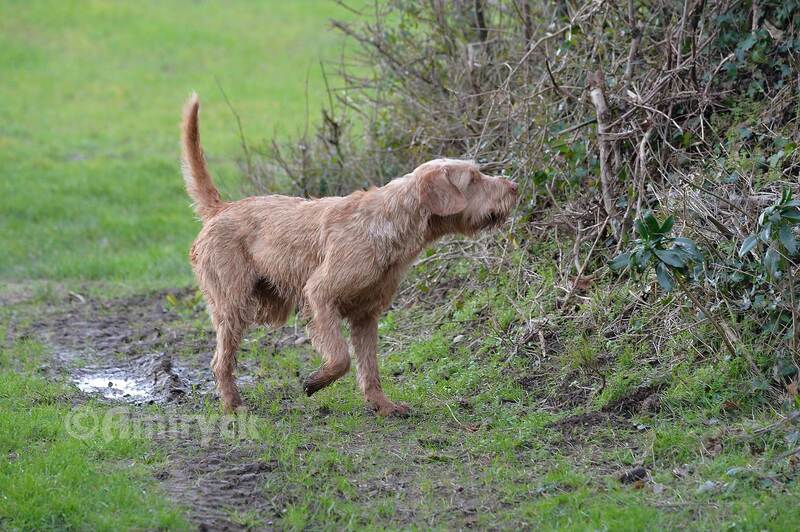 We were lucky enough that all bar the oldest of our wires have been able to enjoy a days work. 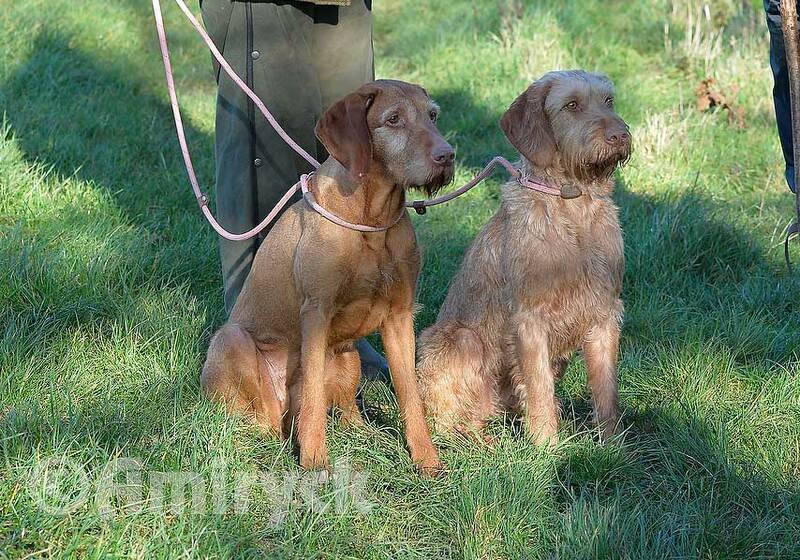 On one of the last shoots of the season we were joined by a professional photographer who snapped a few pictures of Daisy and Nettie, who were with me that day. Thank you to Kit Houghton for these lovely photos. 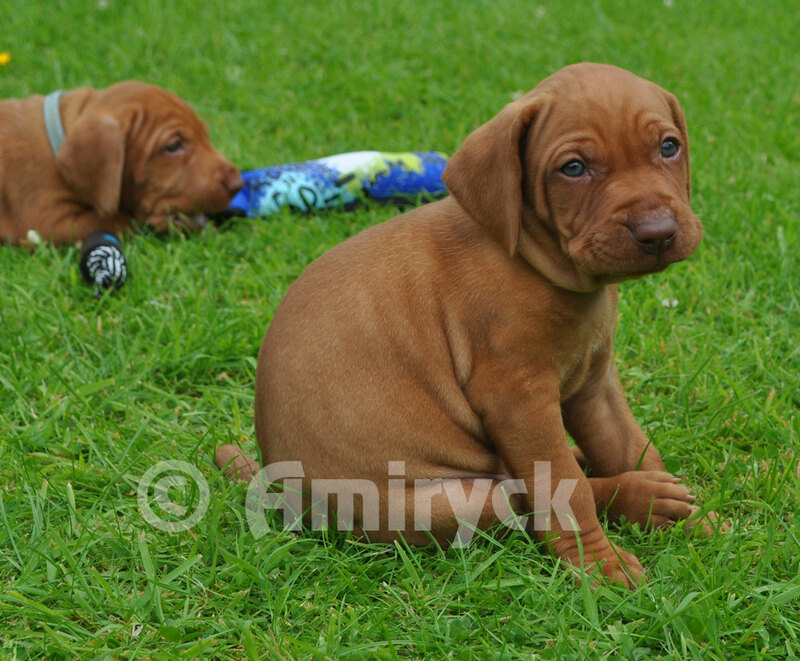 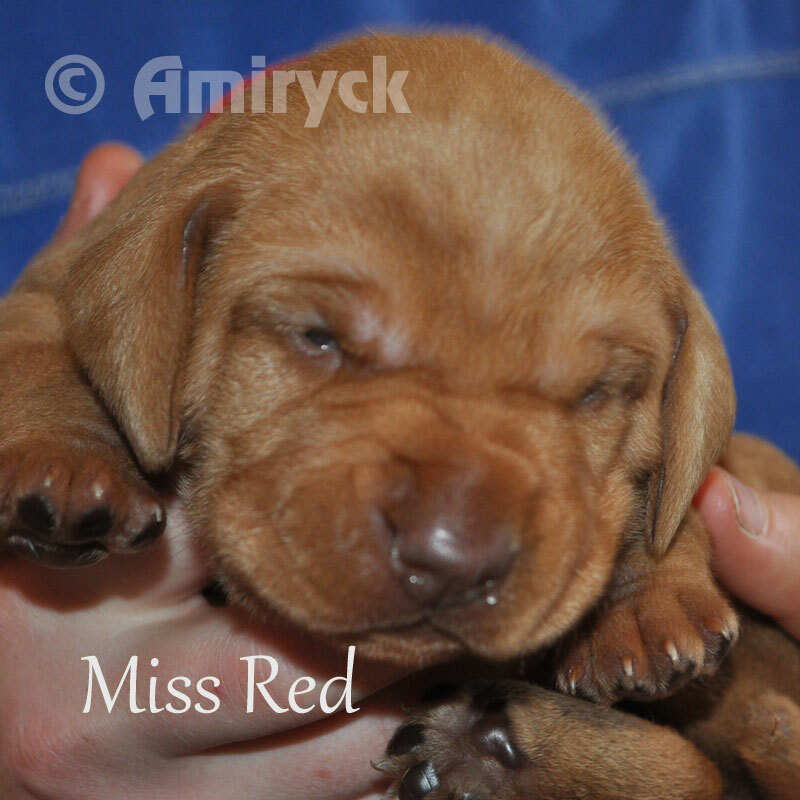 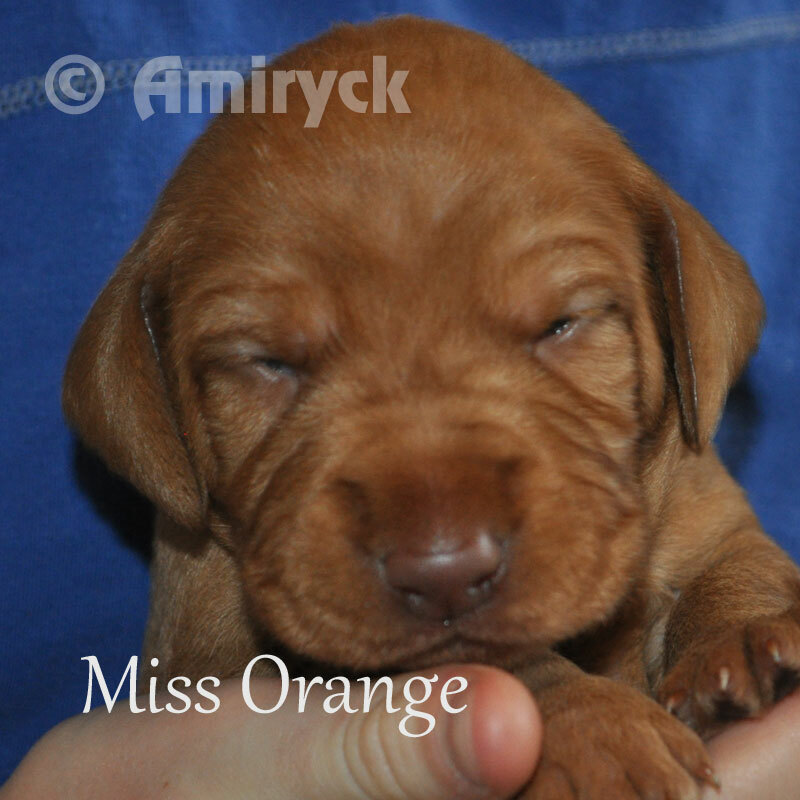 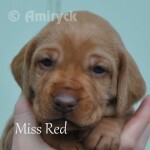 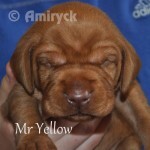 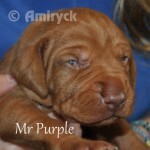 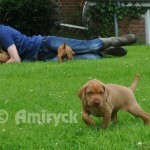 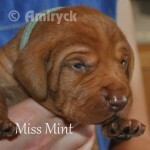 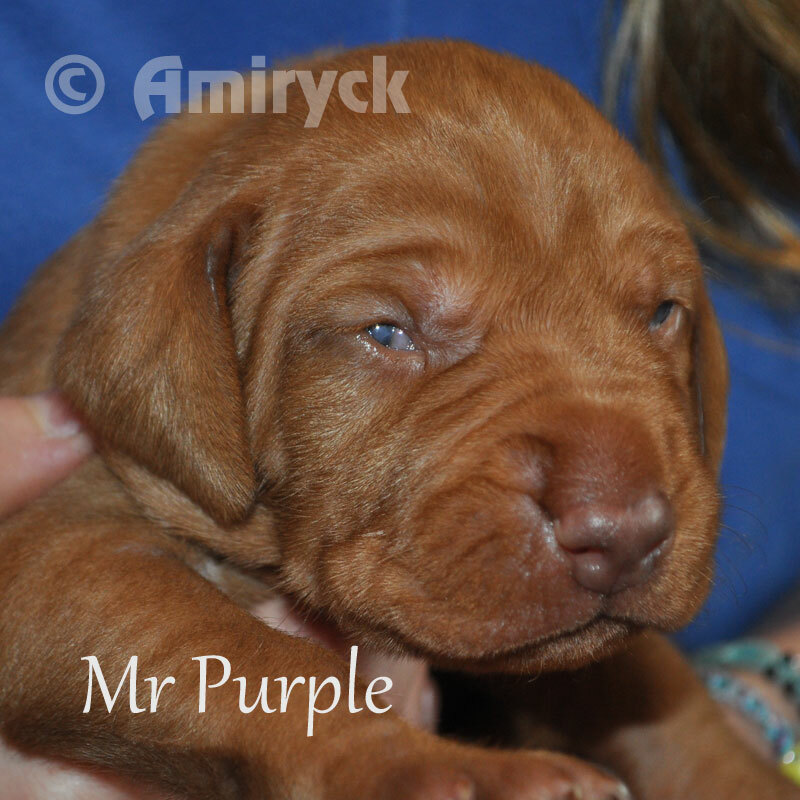 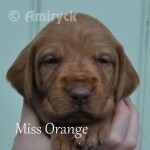 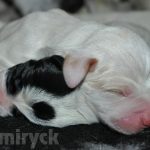 The pups are 7 weeks old and nearly ready to go to their new homes. 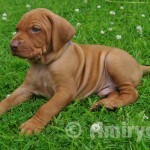 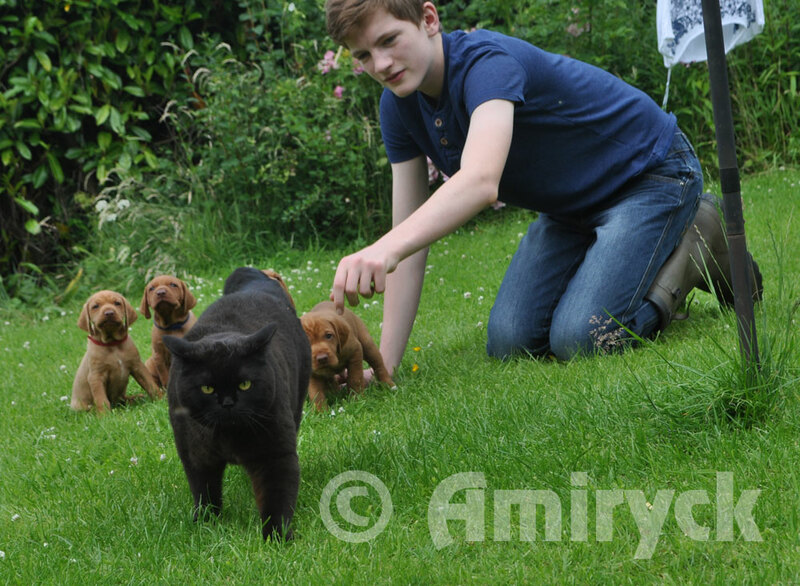 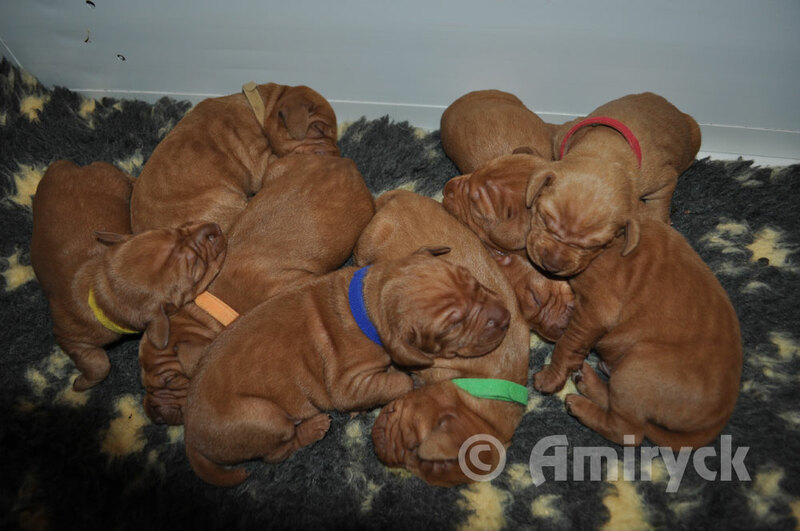 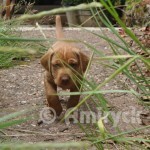 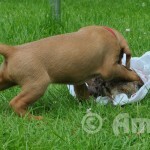 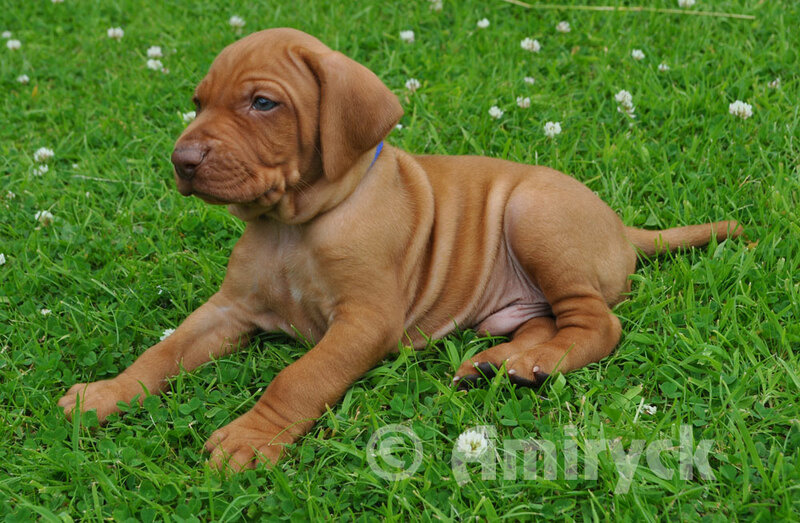 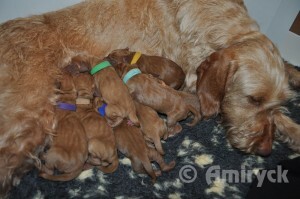 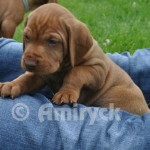 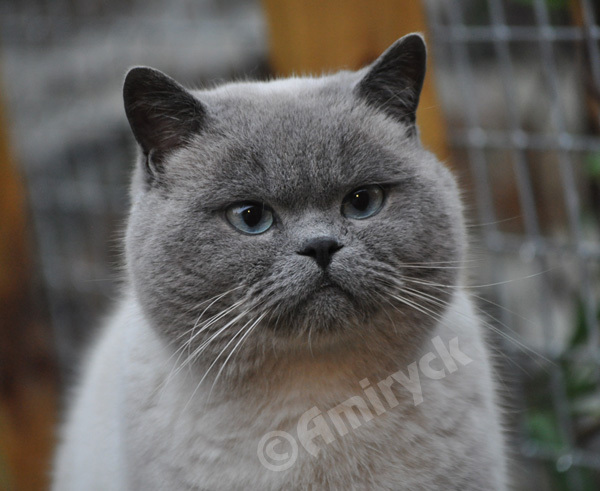 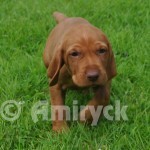 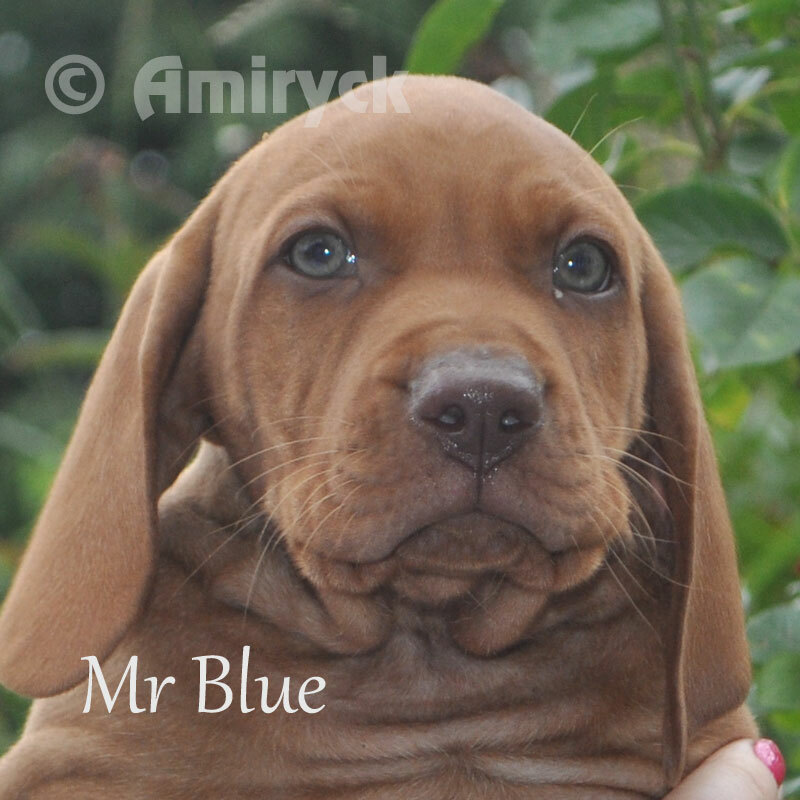 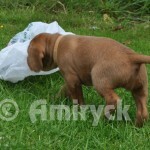 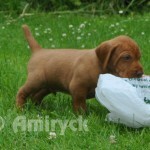 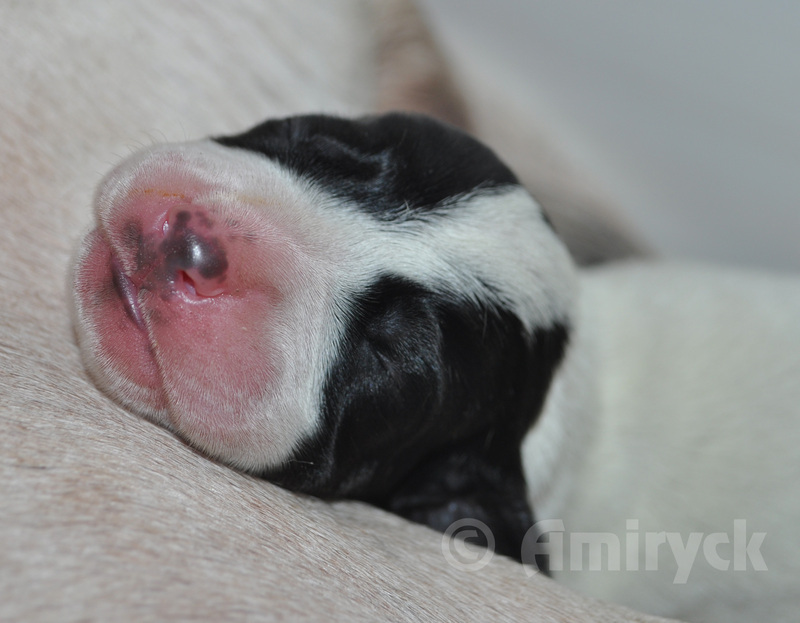 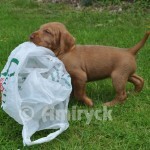 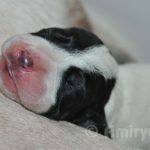 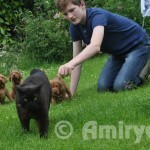 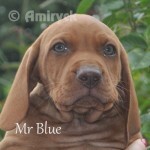 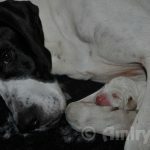 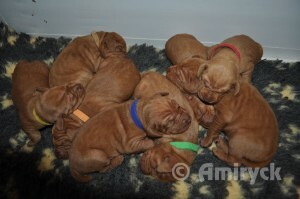 It has been a lovely litter and we are really pleased with them. 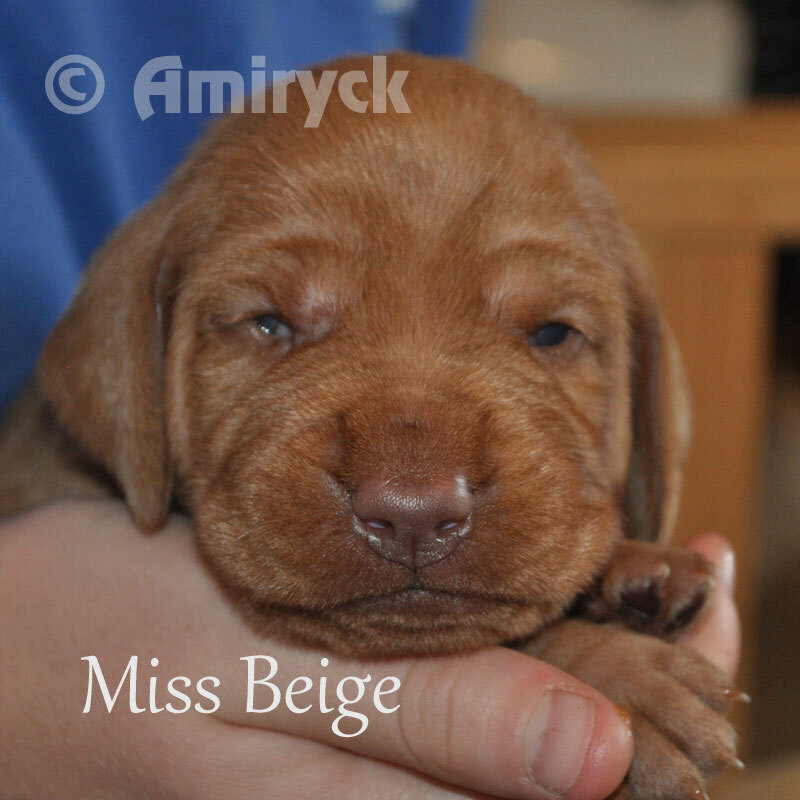 See them all below! 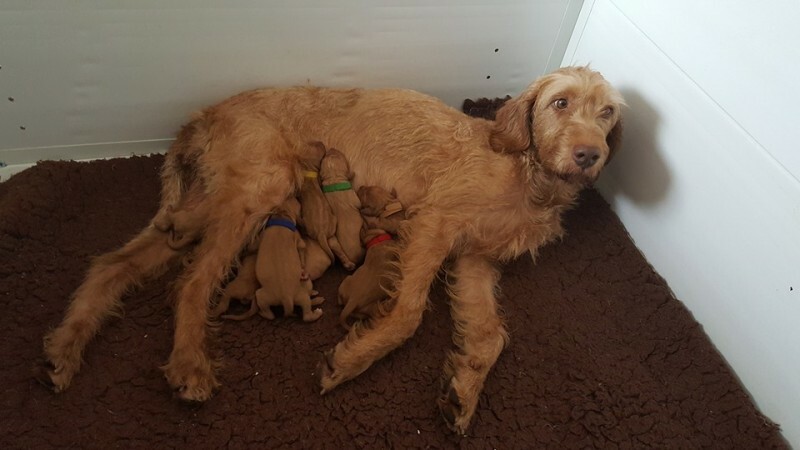 The puppies are doing really well and have now been moved into the room next to the kitchen where they will be slightly more involved in the hustle bustle of family life. We are pleased to welcome 8 bouncing babies to the brood. 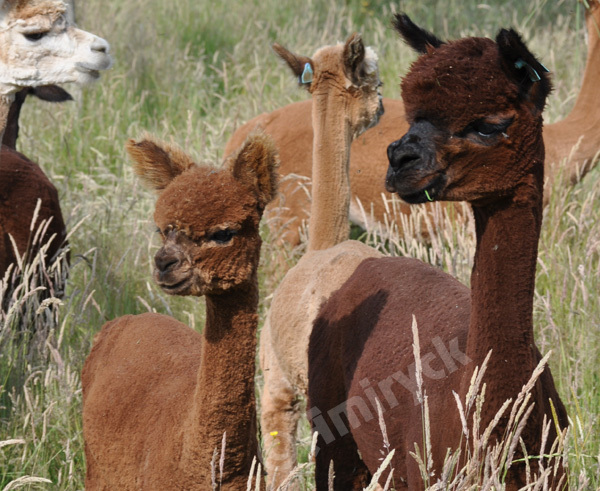 Nettie gave birth very easily to 5 girls and 3 boys on and all are thriving.